Jumping, balancing and climbing is a great way to get about the city or anywhere else for that matter! So why not give it a go? When I mention the fact I do parkour to most people they seem to think I’m jumping off buildings, putting myself in grave danger and causing a nuisance but that couldn’t be further from the truth, so what is it? Harry explains that describing parkour isn’t always easy. Parkour was officially recognised as a sport by Sport England in January 2017 – the first new sport to be added in over twenty years. However, it may surprise some to find out that parkour’s origins are much more humble! Originating in the suburbs of Paris, parkour was started by a group of friends headed up by David Bell, who simply wanted something to do. Bell’s family had fled Vietnam during the war and found themselves in a deprived area of Paris. From its simple beginnings parkour has certainly exploded and is now practiced all around the world by ‘traceurs’ – but if after reading the history you’re worried because you can’t do a single pushup, worry not! 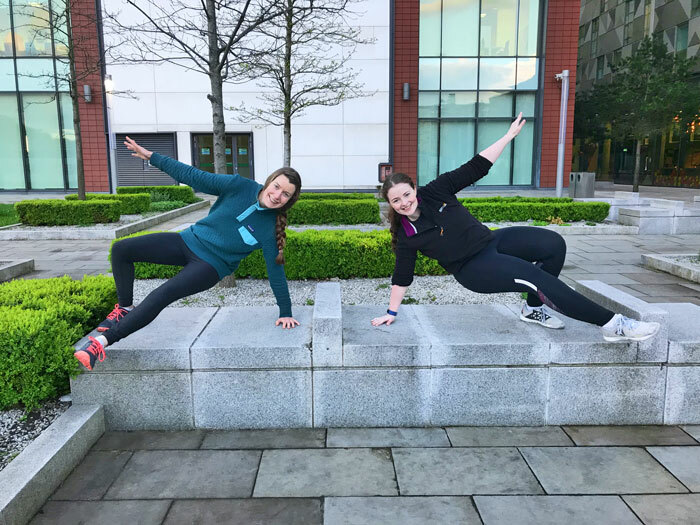 Parkour is for everyone and is the perfect way to build strength, lose weight and gain fitness – no matter what age you are. Whilst Youtube has helped parkour to grow it is also responsible for the perception that parkour is all about jumping from building to building and while Harry believes that is accessible to everyone, it’s important to remember the years of training required to get to that level. You’re probably wondering by now what do you do at your first parkour session and while I clearly remember walking into my first session, seeing (what seemed like) a huge vault box and deftly thinking I had made a mistake, I soon realised that that couldn’t be further from the truth and by the end of the session I was happily vaulting over it. But what is Harry’s take on that all important first day? Parkour is built on community and support and Mille admits that the welcoming atmosphere is one of the things she loves the most. Harry who came from a dancing background where competition is fierce was also drawn to the welcoming nature of parkour. going to experience fear. You essentially leave yourself very vulnerable as you’re experiencing something emotional and to be able to do that with a group of people you need trust – and that’s what makes the parkour community so amazing – it’s what builds it. You will always meet open minded and accepting people. 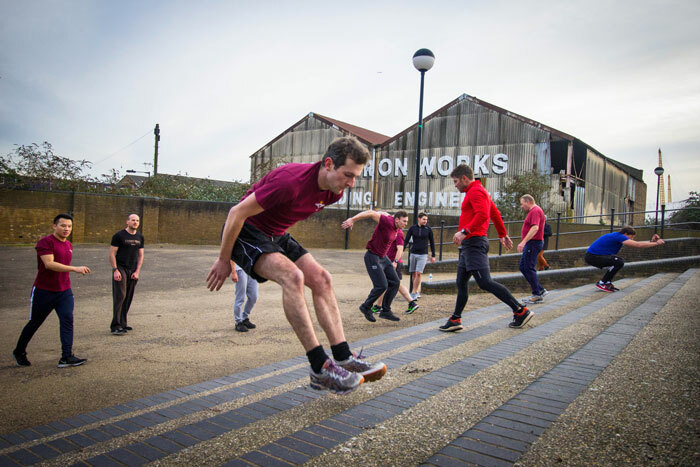 While parkour does inevitably help with overcoming mental obstacles, the sport is rooted in overcoming physical obstacles, traditionally those outdoors which makes it a great sport for exploring your local environment. Since starting parkour, I’ve started taking much more notice of the world around me and Millie admits that she feels the same way. While Harry is all about exploring, Millie has other ideas about how parkour could change people’s lives. Well I could certainly get behind that! 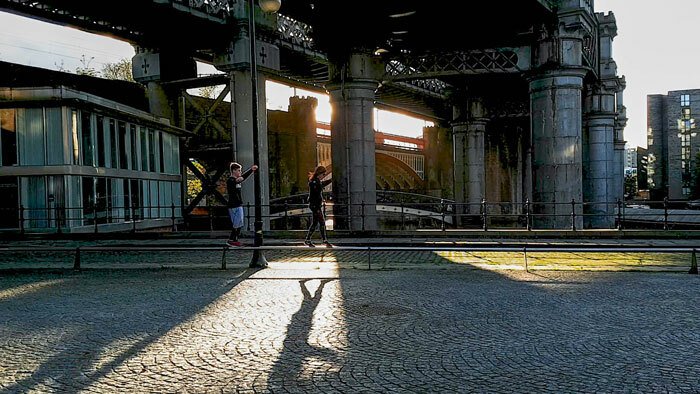 It’s clear parkour is an upcoming sport and a great way to explore your local area and get fit. If we’ve managed to persuade you to give it a go, Harry suggests going to Parkour UK and searching for a class local to you. Of if you’re in or near Manchester, search for pkgenmanchester on Instagram and Facebook or visit parkourgenerations/Manchester. Still need persuading? I asked Millie why she thinks everyone should give parkour a go. “I was the kid who didn’t want to do PE at school as I was always rubbish at everything, but parkour has never been like that for me. Everyone is lovely and if it’s not the fear holding you back…. what is?” “It’s grown fast for a reason and if you want to know why, come and give it a go!” Harry adds. Well I can’t argue with that!